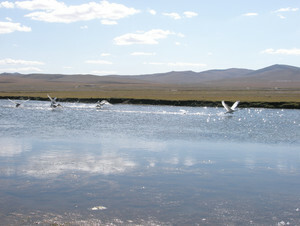 The Environmental Performance Review (EPR) Programme assists countries to improve their environmental management and performance; promotes information exchange among countries on policies and experiences; helps integrating environmental policies into economic sectors; promotes greater accountability to the public and strengthens cooperation with the international community. An EPR is an assessment of the progress a country has made in reconciling its environmental and economic targets and in meeting its international environmental commitments. As a voluntary exercise, the EPR is undertaken at the request of the country under review. The EPR process consists of the following main steps: Preparation, Review Mission, Expert Review, Peer Review, Publication, and Launch. First-cycle EPRs established baseline conditions regarding trends, policy commitments, institutional arrangements and routine capabilities for carrying out national evaluations. From 1994, the first cycle of reviews was performed in the following countries: Albania, Armenia, Azerbaijan, Bosnia and Herzegovina, Croatia, Estonia, Georgia, Kazakhstan, Kyrgyzstan, Latvia, Lithuania, Republic of Moldova, Romania, Yugoslavia, Slovenia, Tajikistan, the former Yugoslav Republic of Macedonia, Turkmenistan, Ukraine and Uzbekistan. Second-cycle EPRs assessed progress and helped to stimulate greater accountability. Emphasis was placed on implementation and financing of the environment policy, integration of environmental concerns into economic sectors, and promotion of sustainable development. Since 2000, second EPRs were carried out in the following countries: Albania, Azerbaijan, Belarus, Bosnia and Herzegovina, Bulgaria, Croatia, Estonia, Georgia, Kazakhstan, Kyrgyzstan, Montenegro, Republic of Moldova, Romania, Serbia, Tajikistan, the former Yugoslav Republic of Macedonia, Ukraine and Uzbekistan. Third-cycle EPRs include environmental governance and financing in a green economy context, countries’ cooperation with the international community and environmental mainstreaming in priority sectors. Since 2012, UNECE has carried out third EPRs in the following countries: Albania, Belarus, Bosnia and Herzegovina, Bulgaria, Georgia, Montenegro, Republic of Moldova, Serbia and Tajikistan. The Synthesis report of the Secretary-General on the Post-2015 Sustainable Development Agenda “The Road to Dignity by 2030: ending poverty, transforming all lives and protecting the Planet” (2014) mentions the EPRs as an example of regional review mechanisms, whose experience is important for monitoring, evaluation and reporting on Sustainable Development Goals (SDGs). Since 2017, EPRs include the review of relevant goals and targets of the 2030 Agenda and provide recommendations to the countries on the achievement of SDGs (ECE/CEP/2017/17 ENG, FRE, RUS). The efficiency and effectiveness of the EPR methodology have attracted the attention of countries outside of the UNECE region, leading to requests for a transfer of know-how from ECE to other UN regional commissions. Morocco was reviewed by UNECE in cooperation with the Economic Commission for Africa and Mongolia – in cooperation with the Economic and Social Commission for Asia and Pacific.